Neil Cornrich & NC Sports, LLC: Iowa Hawkeyes in the NFL: Riley Reiff Will Play For A Trip To The Super Bowl! Iowa Hawkeyes in the NFL: Riley Reiff Will Play For A Trip To The Super Bowl! Three former Hawkeyes entered the NFL Divisional Round with dreams of making it all the way to the Super Bowl. Only one of those dreams is still alive this season. 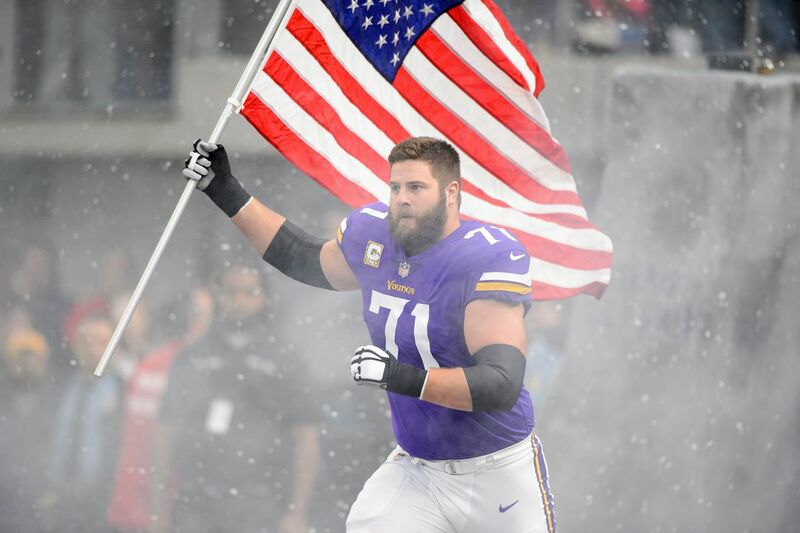 Riley Reiff helped the Minnesota Vikings defeat the New Orleans Saints in one of the greatest postseason finishes in NFL history. His efforts helped the Vikings put up 403 yards of total offense while converting 10 of 17 3rd down attempts. Reiff and the Vikings will now travel to Philadelphia to face the Eagles — the NFC’s top seed — next Sunday. That game will kick off at 5:40 pm CST on Fox.